This space saving twin over twin bunk bed offers a great value. 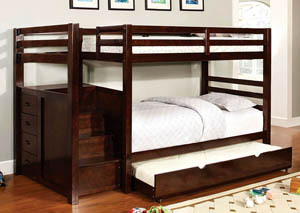 A full staircase leads to the upper bunk, while storage drawers are built under the staircase for optimal storage space. 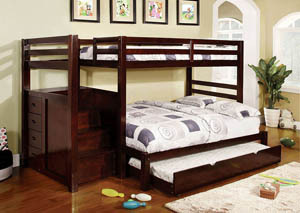 The bed framework is constructed of solid wood and finished in dark walnut.